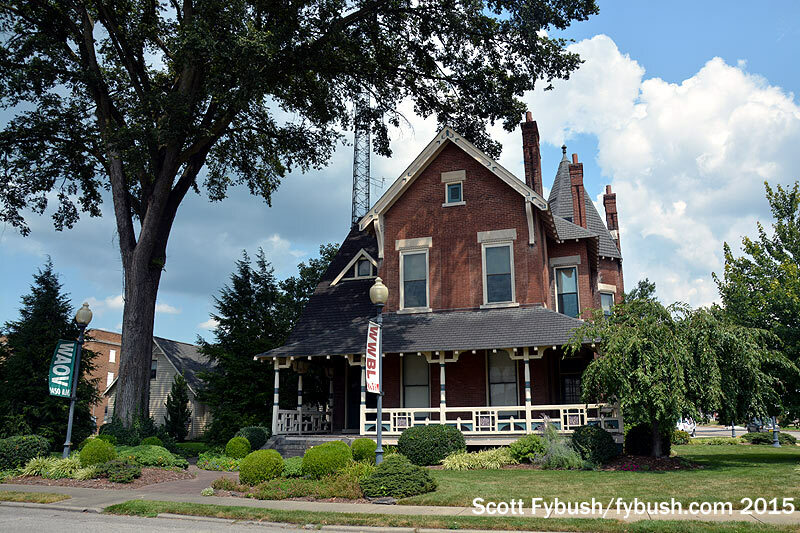 There are still some parts of Indiana we’ve never explored, believe it or not – but in August 2015, we chipped away at one significant corner of the Hoosier State by spending an afternoon visiting several small station groups along the US 41 corridor that links Terre Haute to Evansville. 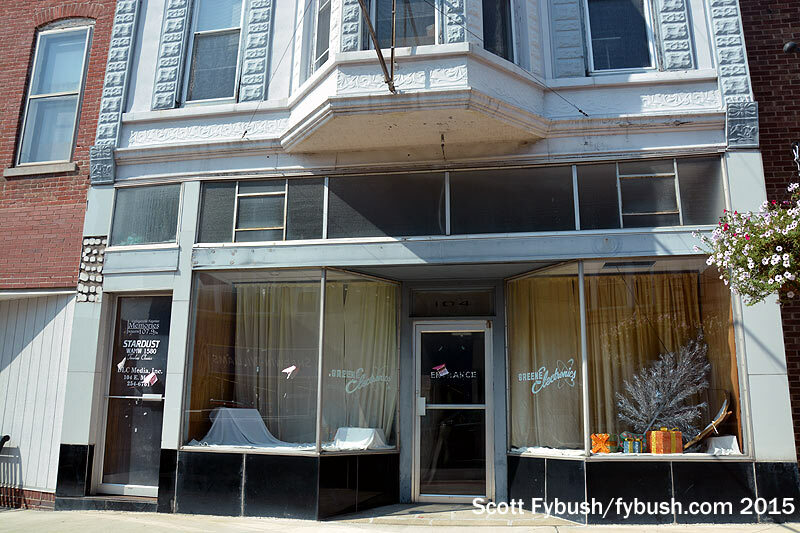 We’d driven past Vincennes before, but this time we made some time to stop and take the scenery in this pretty college town that sits alongside the Wabash River, which also forms the state line between Indiana and neighboring Illinois. 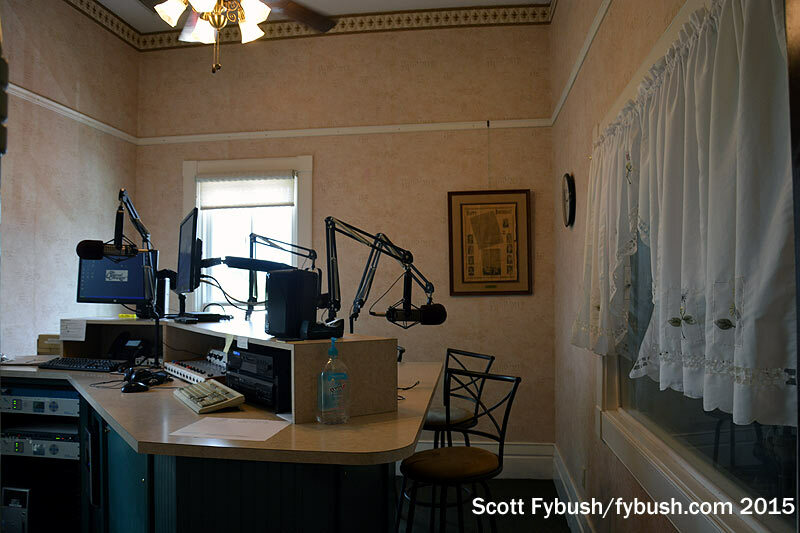 The big local radio owner is the Original Company, which makes its home in a lovely Victorian house, the Brevoort Mansion, across the street from the police headquarters. 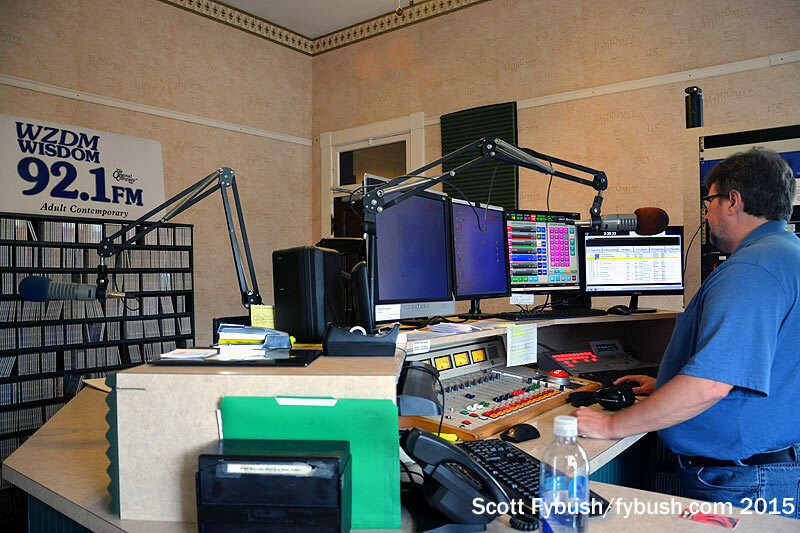 Wisdom is the big local AC here, and while we’re in the studio, there are local people coming in and out to promote community events and do all the things that make small-city radio so special. 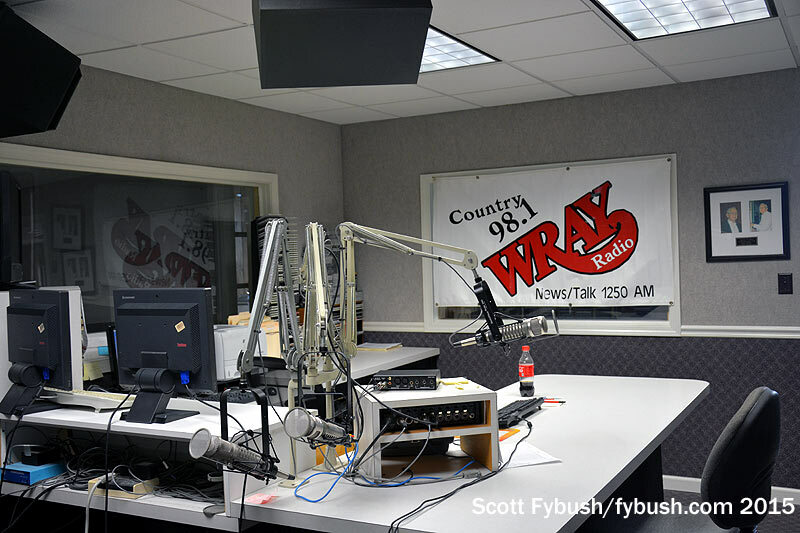 WUZR, down the hall, is mostly automated (including Bob & Tom from Indianapolis in the morning), and WAOV is the news-talker in town, heard on two FM translators along with its AM signal. 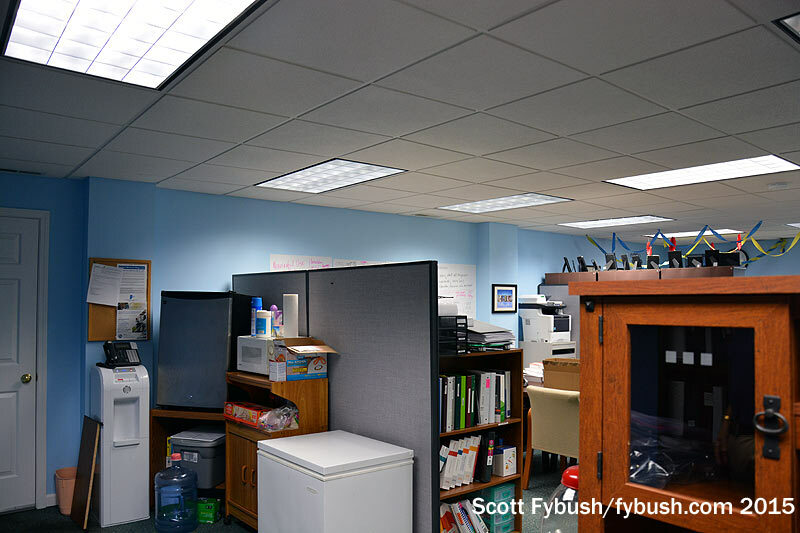 There are some station offices downstairs, with more Original Company offices in a newer building that was added on next door a few years ago to hold a growing staff. Oh, and what about those calls? When WAOV signed on in 1940, Vincennes was still crazy about a novel that had come out four decades earlier. 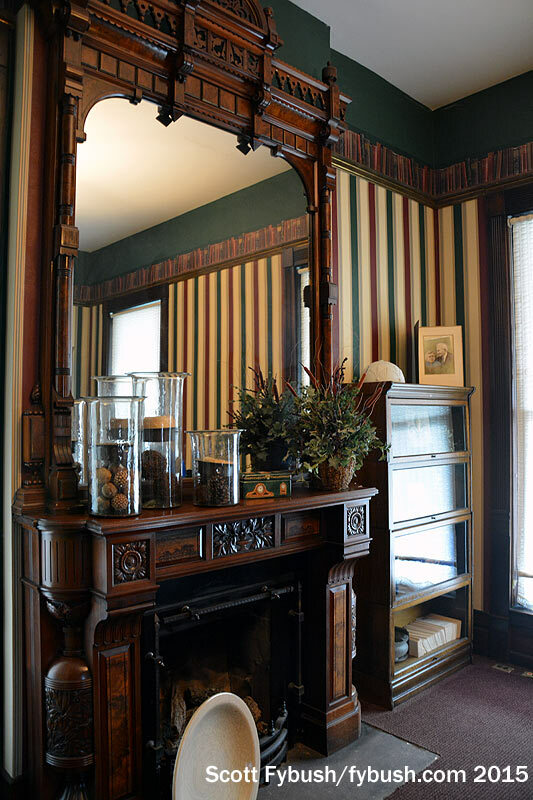 “Alice of Old Vincennes” was a best-seller in 1900, and everything from the radio station to the local high school’s sports teams was named after the heroine of the Revolutionary War novel. So now you know. 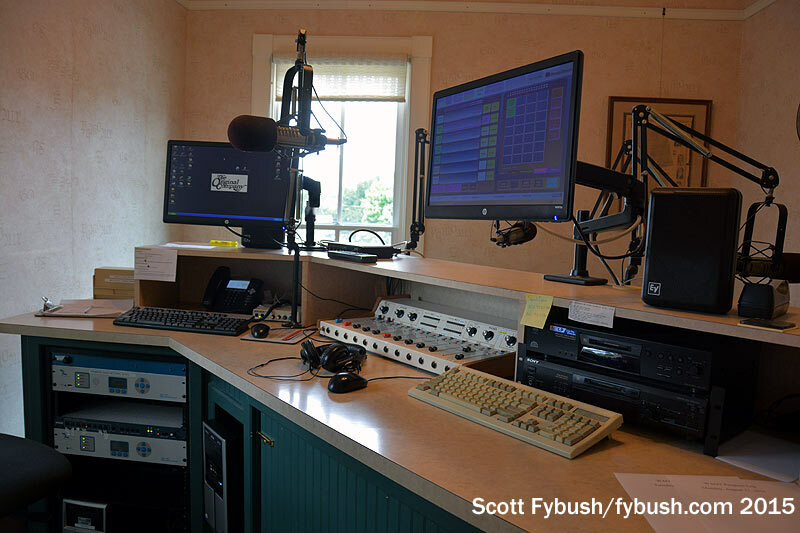 About 20 miles east of Vincennes along US 150, we come to Washington, Indiana, whose radio history began on FM in 1948 with the debut of WFML (106.5). 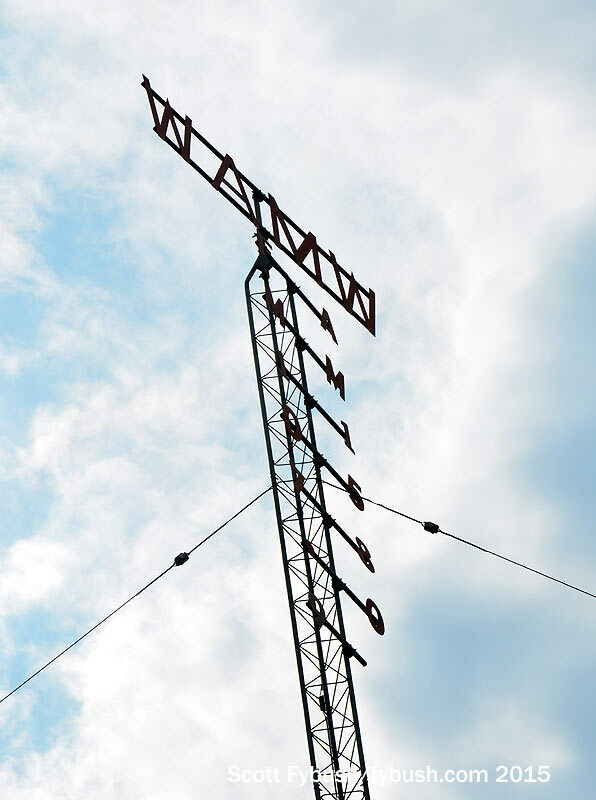 Daytimer WAMW (1580) came along in 1955, and within months the FM owners, who also had the local paper, had acquired the AM signal. 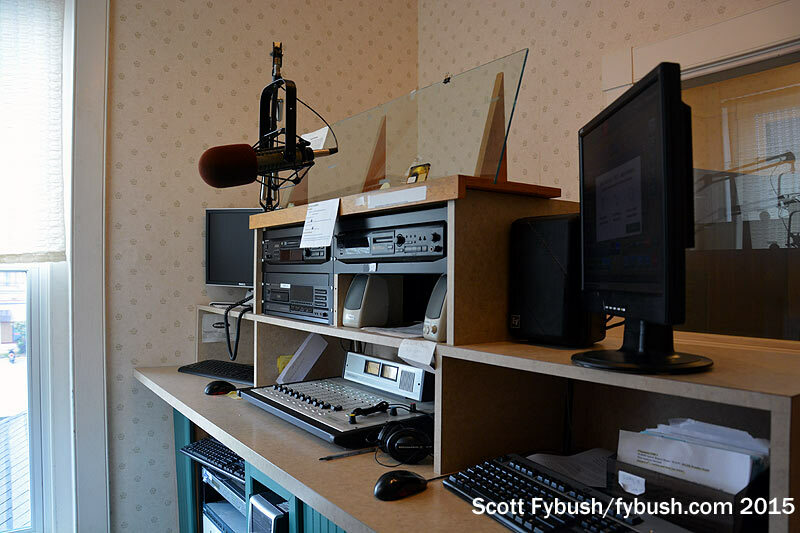 In the 1980s, the stations split: 106.5 became WWBL, doing country as “The Bullet,” while WAMW spawned a new FM sister, a class A signal at 107.9 that signed on in 1989 as WAMW-FM. 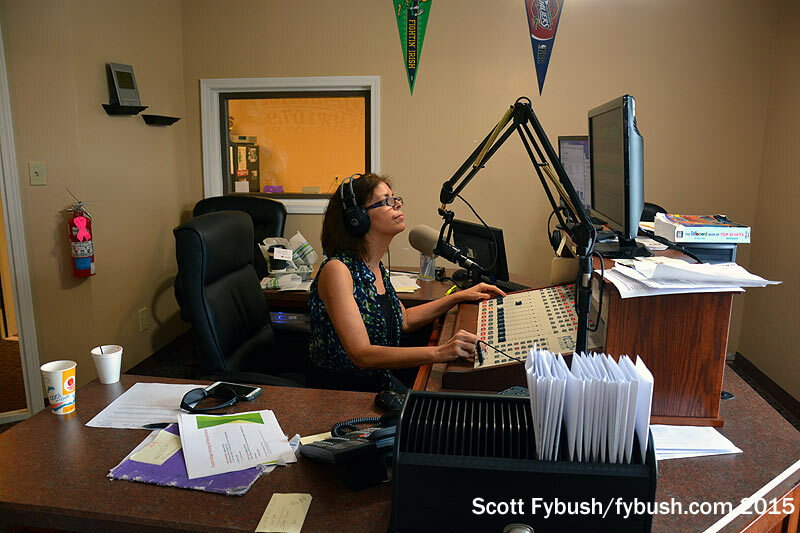 Today, WWBL is owned by the Original Company, with a small local studio downtown. 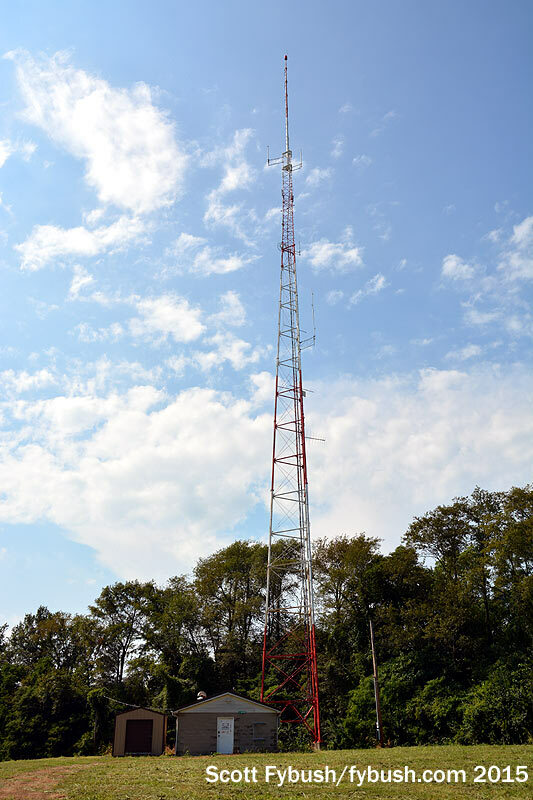 Its tower is still in the original location up on the hill just east of downtown, where its 50 kW class B signal is relatively low down at only 300 feet or so. 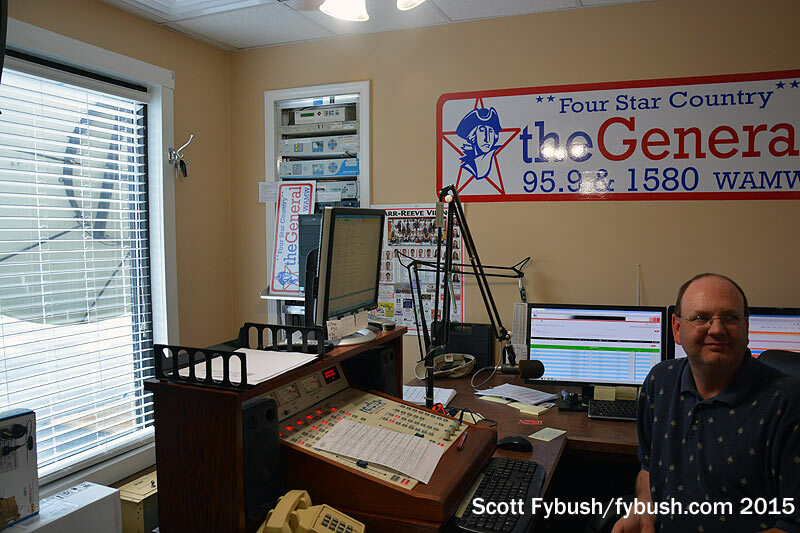 As for WAMW and WAMW-FM, they moved a few years ago from their downtown studio location to a former bank building on old US 50 west of downtown. 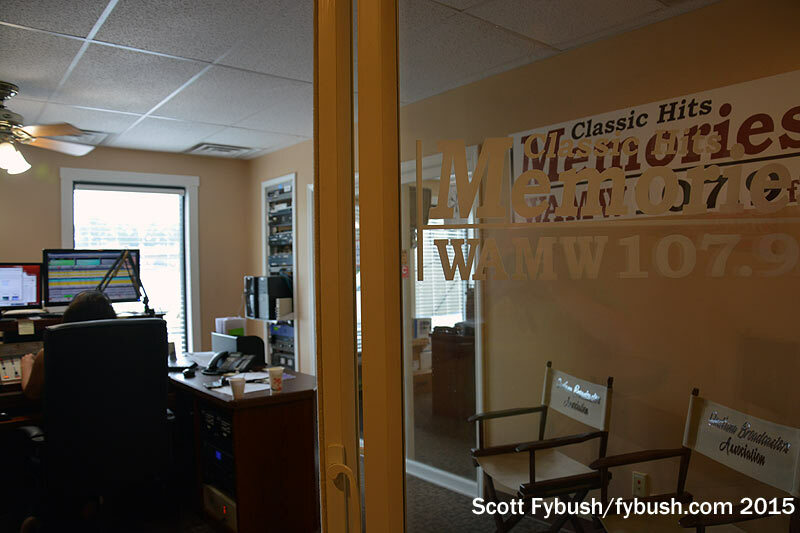 It’s offices in the front, studios in the back in an unusual configuration that finds “Memories” WAMW-FM behind sliding glass doors, with another set of glass doors separating that studio from the adjacent studio for “The General,” WAMW(AM) and its FM translator at 95.9. 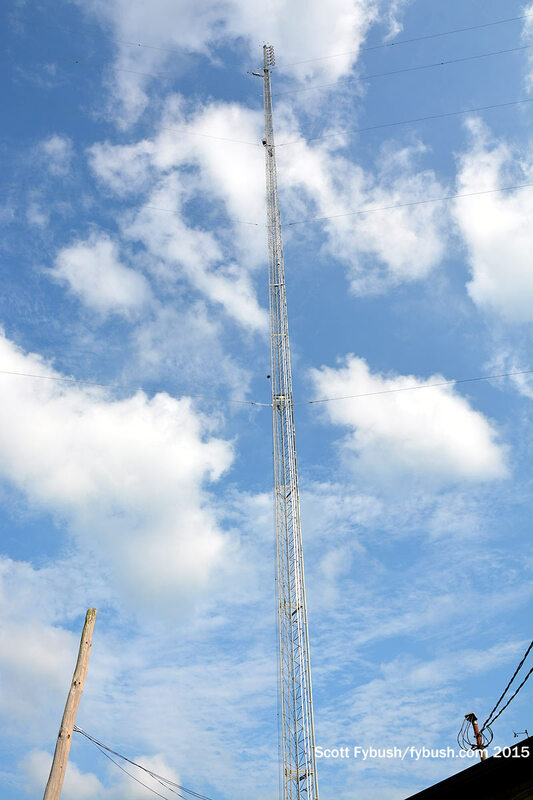 It’s not at all hard to find where WAMW’s transmitters are – you can’t miss them just off the south side of US 50 on the west side of town, where the new bypass splits off from the old road through downtown. 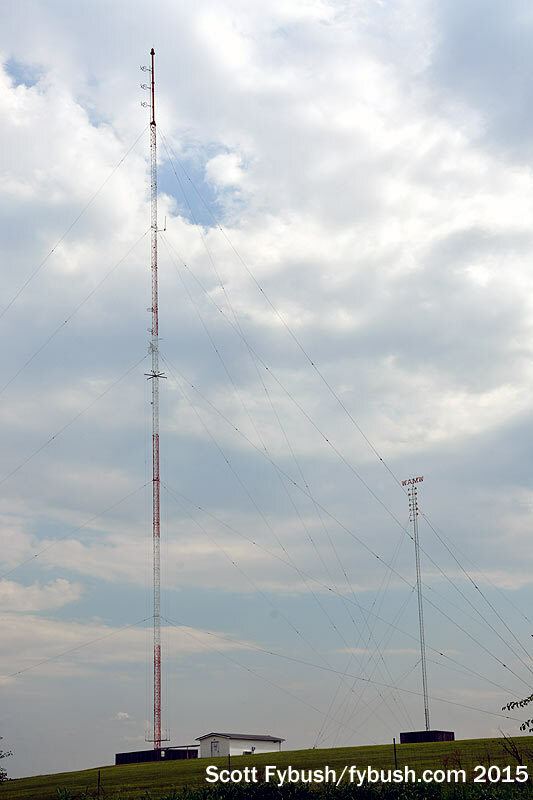 WAMW(AM) moved up here from the 106.5 site in 1991, going directional from a 500-watt daytime signal that uses part of the big FM tower and the shorter tower next to it. 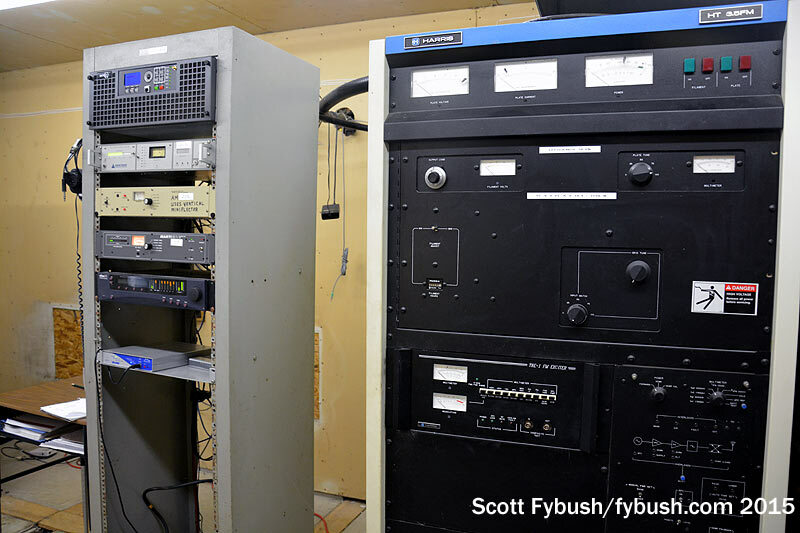 That short AM tower is neatly decorated with the WAMW calls and frequency at the top, which is pretty darned cool if we do say so ourselves. Out on the east side of Washington, what used to be wide-open farmland along US 150 has started to get built up with the arrival of I-69, the new superhighway that angles north and east from Evansville up, eventually, to Indianapolis. We head southwest on the largely empty new road to make one more stop before we pull into Evansville, and it’s a neat one. 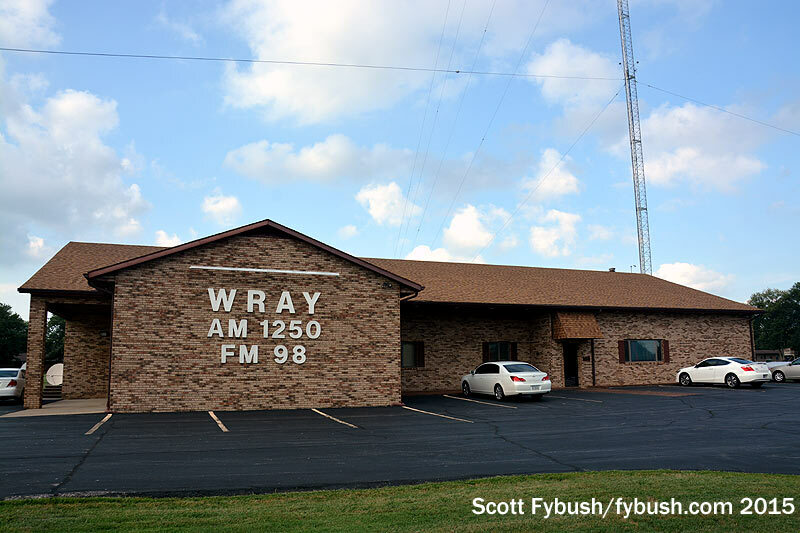 30 miles or so southwest of Washington, US 41 and the new I-69 flank Princeton, Indiana, where the Lankford family just marked 65 years of local broadcast ownership at WRAY (1250) and WRAY-FM (98.1). 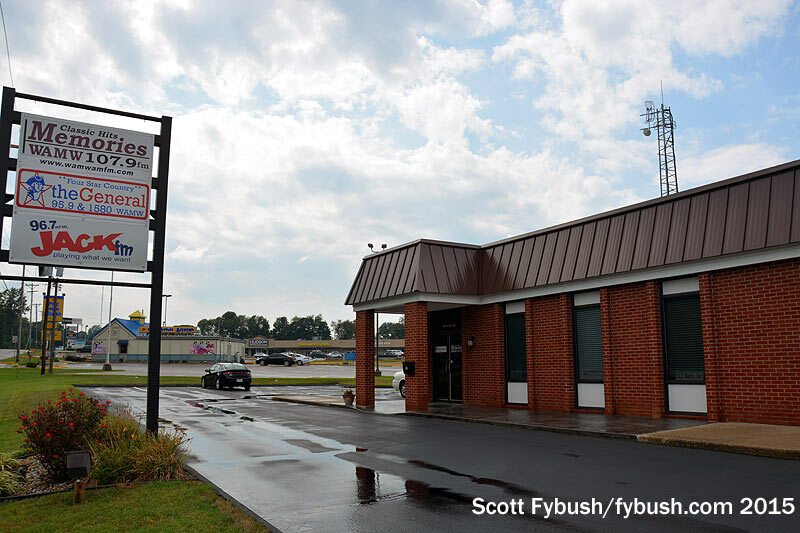 This building on Outer West Broadway, now a busy commercial strip connecting to US 41, has been home to WRAY(AM) since the very beginning in 1950, though you’d never know it from several renovations and expansions through the years that now give the building a much more modern appearance. 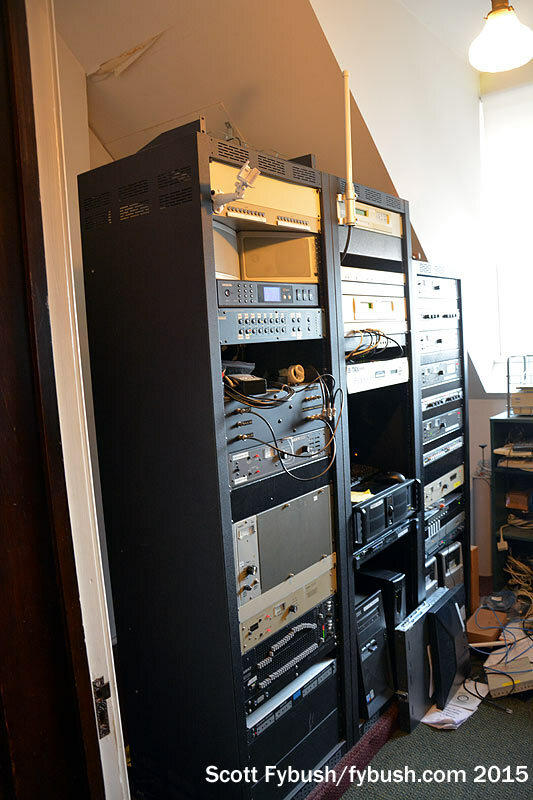 Back here, it’s all Harris transmitters for the FM and the AM, but there’s something else, too – the ghost of a TV station that came and went here in the 1950s. 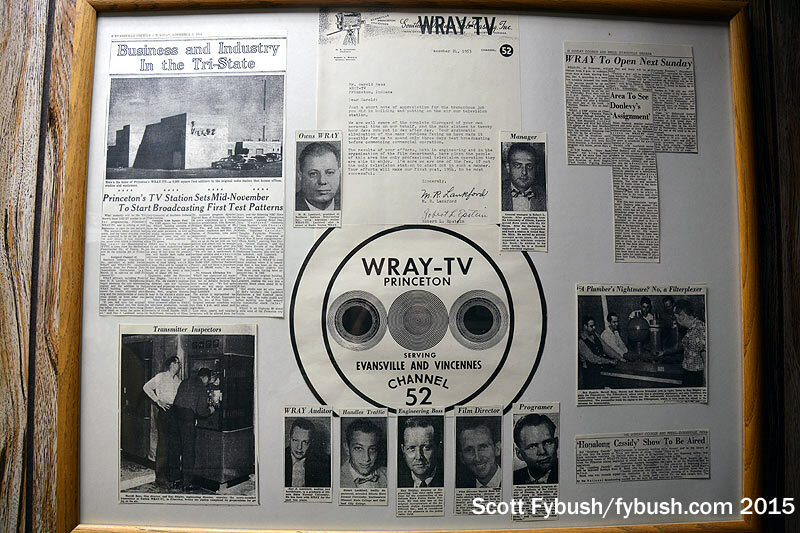 Back in that era, nobody really knew yet whether TV was going to be viable in towns the size of Princeton – and so when the FCC opened up UHF channels, WRAY wasn’t alone in jumping in to see what the new medium would bring. WRAY-TV made it to air Dec. 6, 1953, per the indispensable UHFTelevision.com. 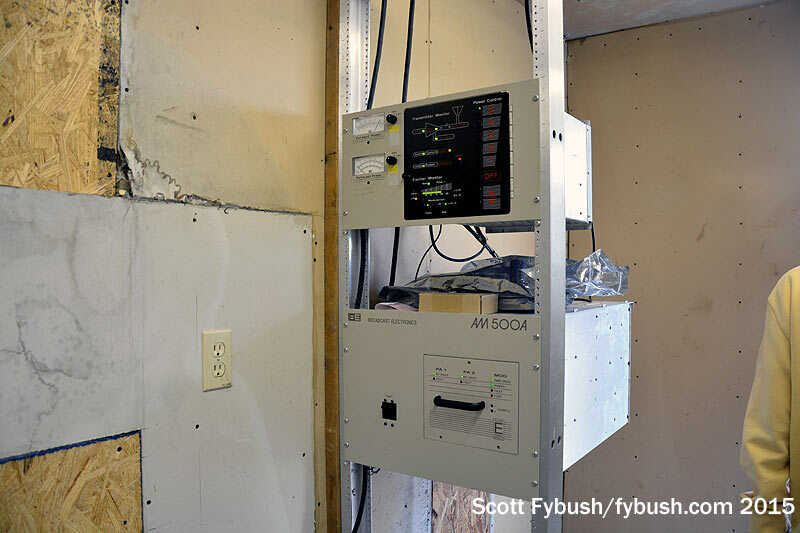 By then, early adopters in the area had already erected tall antennas to reach for faint signals from more established VHF stations in Bloomington, Indianapolis, Champaign and elsewhere. 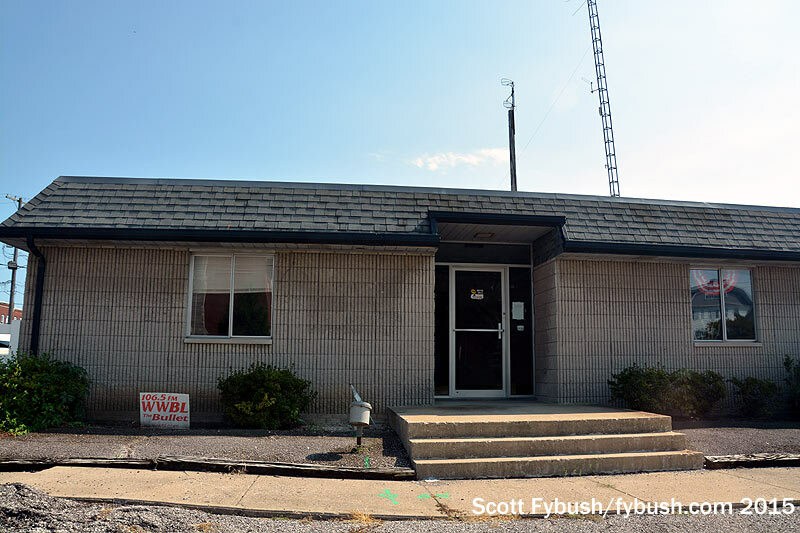 It didn’t leave much room for a little local UHF station operating from one little studio and control room, and on July 27, 1954, WRAY-TV suspended operations for good. 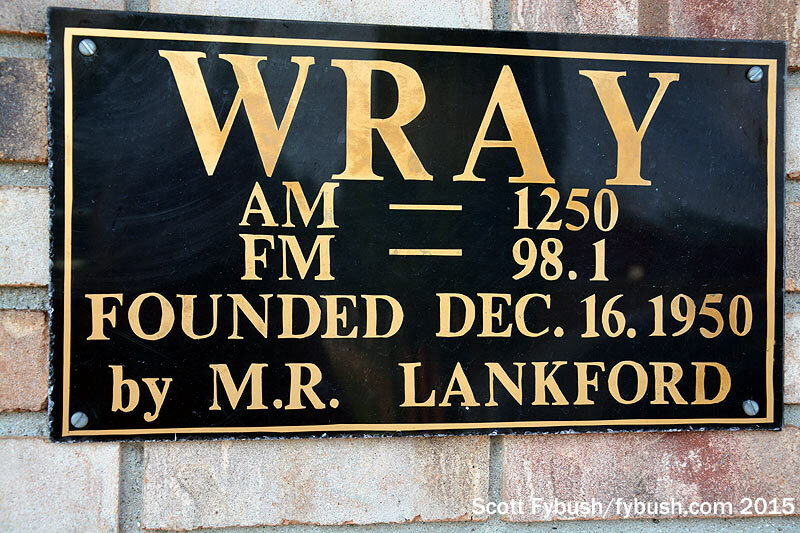 The Lankfords settled back into AM-only operation for a few years, then put WRAY-FM on the air in 1960. 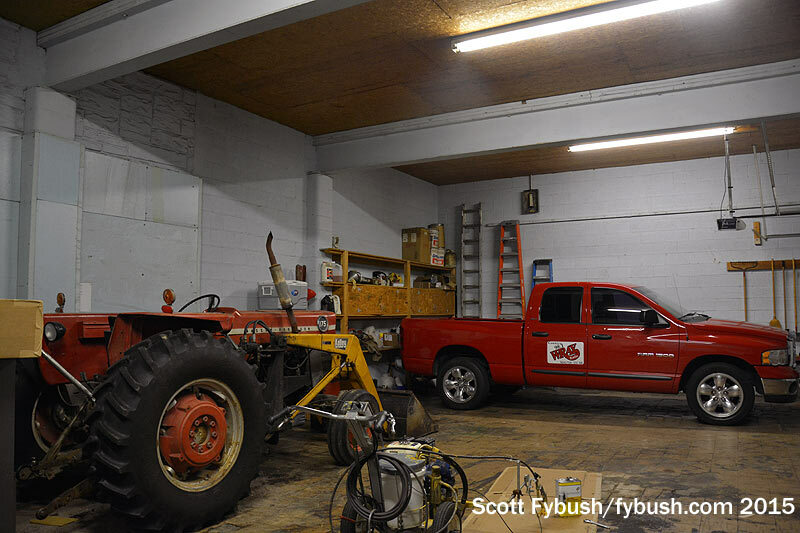 On the west side of the building, another Lankford family business now operates from a small suite of offices in what was once the WRAY-TV control room – and a door from those offices leads into the WRAY garage, which was once, briefly, the WRAY-TV studio. 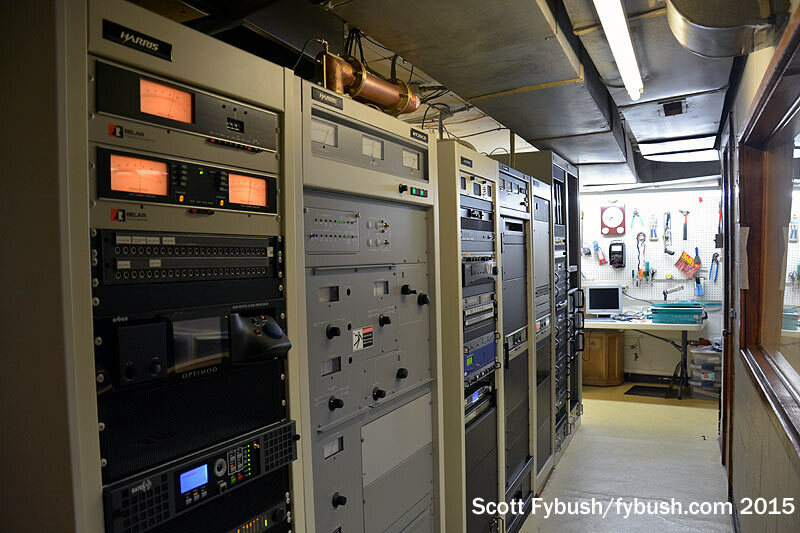 Wouldn’t you love to see some of the programming that came from that small space in 1953 and 1954? 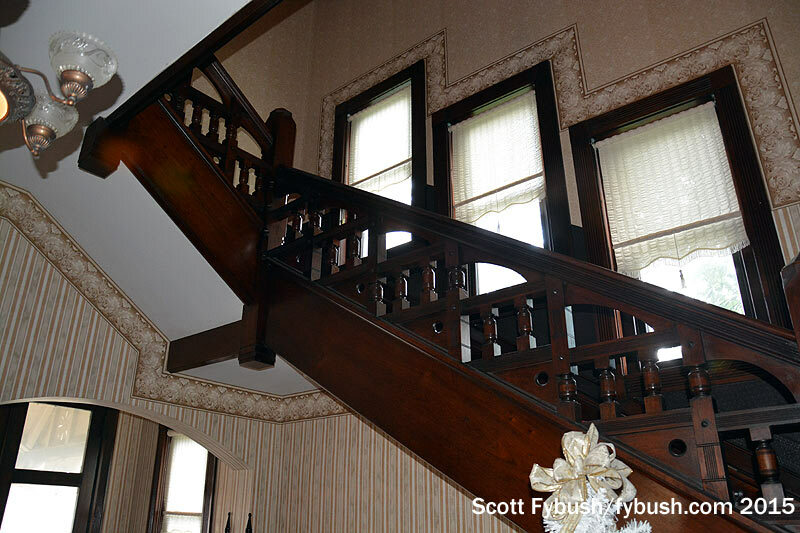 Thanks to Original Company’s Mark Lange, WAMW’s Dave Crooks and WRAY’s Stephen Lankford for the tours! And don’t miss a big batch of Indiana IDs next Wednesday, over at our sister site, TopHour.com!